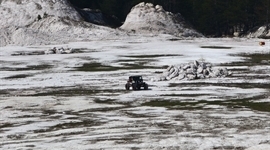 Bulgaria Offroad Competitions - News - Strong participation from Turkey in the Trophy and Rally Category ! Strong participation from Turkey in the Trophy and Rally Category ! Five crew will attack the first place in Expert Class in the heaviest Trophy category, as with the best chance is many years competitor Mehmet Beče. President of the largest off-road organization in Turkey -ISOFF Beče will stand at the start after many races in Greece, Turkey and Bulgaria and the last year competed in class Rally Raid in Kardzhali. Mehmet Bečej is the major "engine" of the off-road in Turkey and has been involved in all formats offroad in Turkey and the Balkans. Place on the podium in Rally category will seek Genghis Incheli with navigator Ahmet Tinkir - very ambitious competitor who participated in several Bulgarian races as his great success was in the final top ten in most difficult off-road race in the Balkans - "24 Hours in Athens" . 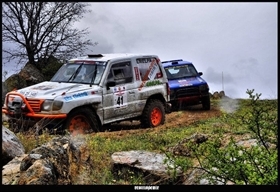 At the Rally Raid category will participate for the first time and Team Manager of Turkish Team Aidin Varol with prepared in Bulgaria car Mitsubishi Pajero 3.5.